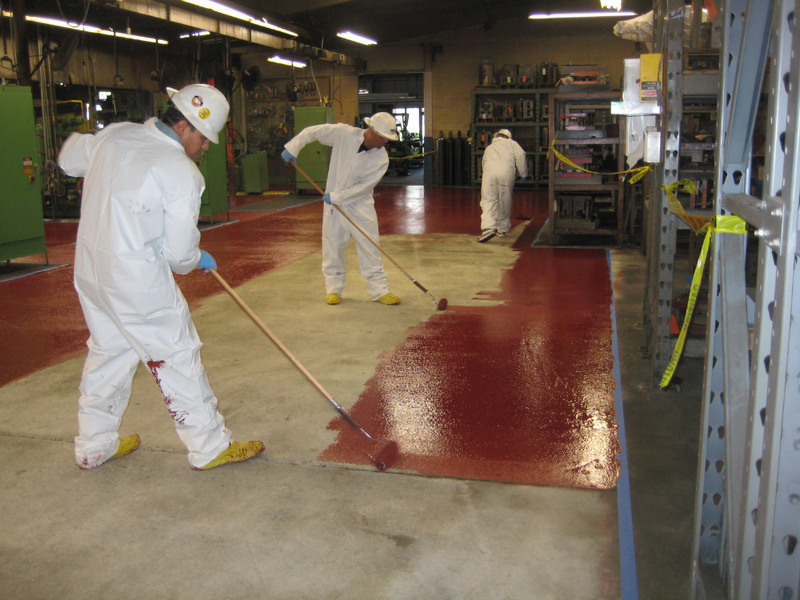 NRC was contracted to perform mitigation of PCB contamination that impacted concrete floors and raised concrete equipment pads in an industrial facility in Gardena, California. This site operated as an industrial facility for the manufacture of die casted metal parts used in various industrial and consumer products. Die casting uses zinc and other base metals in molten form. Heat resistant oils containing polychlorinated biphenyls (PCBs) were originally used in the die-casting units’ pressing and releasing equipment. Press units were retrofitted with non-PCB Oils when federal law prevented their continued use due to health concerns. However, the PCB contamination remained imbedded in the concrete flooring surfaces and the equipment pads below the casting press units. 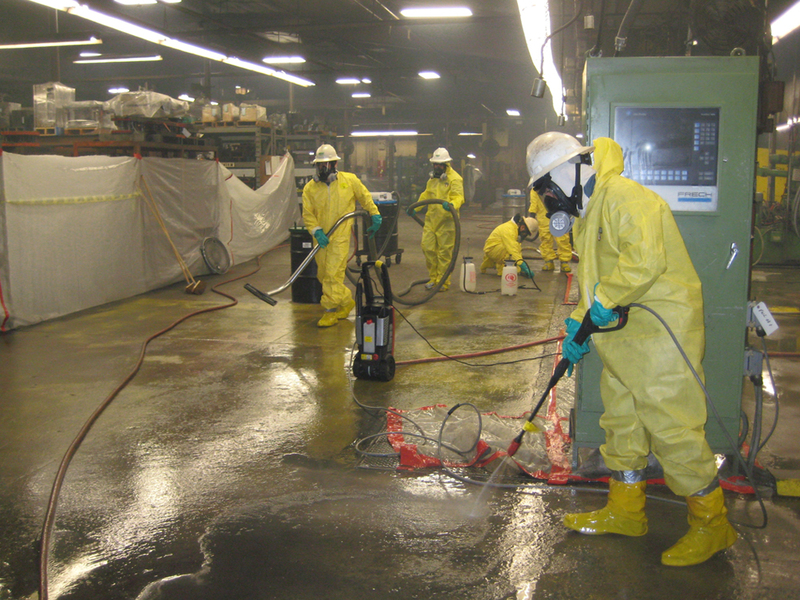 Over 10 days a crew of 10 NRC personnel utilized CAPSUR® PCB Extraction Foam to remove PCBs from the identified areas. The extraction process was followed by a series of surfactant washes to prepare the surface for acid etching. 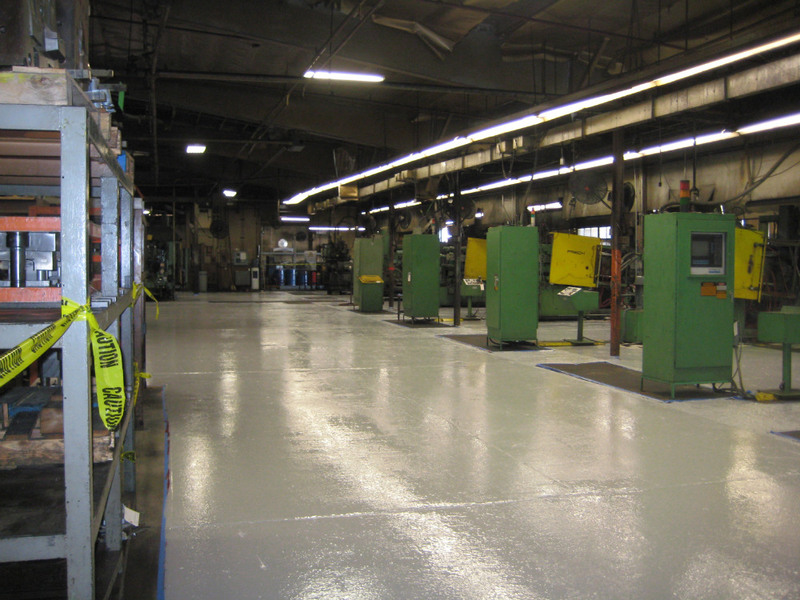 Surfaces to be coated were etched with muriatic acid to create a receptive profile before an application of SIKA Guard 62 (2 Part High Solids Epoxy) rated at 10,000 lbs. for forklift and vehicle traffic. NRC applied a red color base layer as an indicator for any wear, followed by a gray top layer. 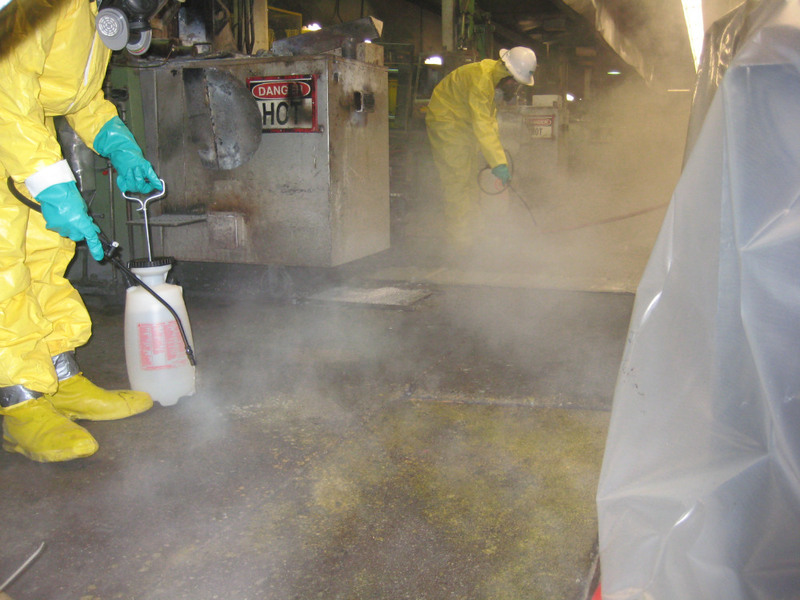 NRC successfully achieved the remedial goals of keeping the manufacturing plant open with minimal disruption to operations, with the added benefit of a high performance surface to prevent contact exposure by employees during the course of their work. NRC performed sampling, containerization, transportation and disposal of all waste generated from the project. Waste was transported off-site for disposal. PCB impacted materials inside industrial facility. Plant operations continued throughout course of remedial activities. Epoxy application to eliminate future exposure and further contamination. Waste management, transportation and disposal.